AKTEX always strives to make products of the highest quality, which, being on par with some of the best world battery brands, has already been acknowledged by the CIS market . AKTEX batteries have received numerous awards and recommendations from influential automotive user magazines in Russia such as «Za Rulem» (At the Wheel) and «AutoReview». «AKTEX batteries got «A»s at all tests. All three specimen passed low temperature tests well over margins — according to both Russian and European requirements. AKTEX quality management system is certified according to ISO 9001. Following the increasing requirements of OEM customers, AKTEX is improving its quality management to get ISO 16949-2001 certification. AKTEX batteries fully compy with the requirements of the Russian Maritime Register of Shipping. The company received numerous awards at Exhibitions and Contests. 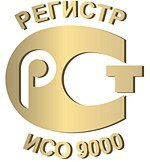 AKTEX and ZVER batteries were awarded the title National Trademark 2003 and were among the winners of the national contest 100 Best products of Russia in 2002, 2004 and 2006.